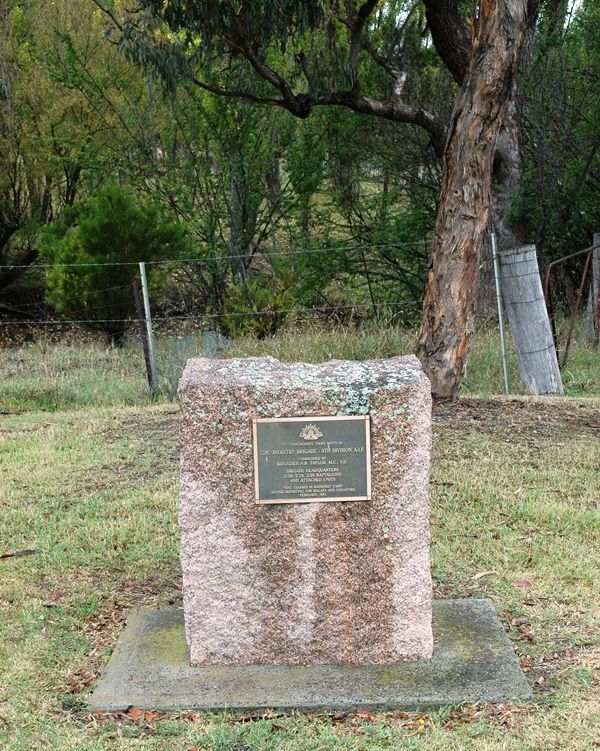 A monument commemorates the units of the 22nd Infantry Brigade who trained in the Bathurst Camp before departing for Malaya and Singapore during World War Two. 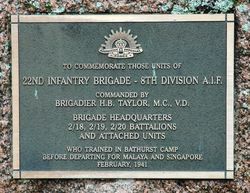 22ND INFANTRY BRIGADE- 8TH DIVISION A.I.F. 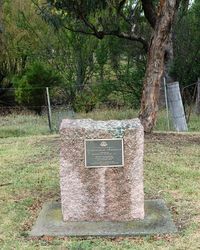 Brigadier H. B. Taylor, M.C., V.D.